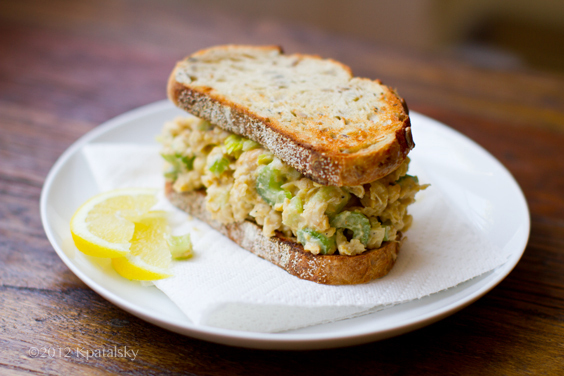 This Chickpea Salad Sandwich is kind of amazing. Not only is it totally delicious, but super duper fast and easy. Whip this recipe up in the morning and have it chilled to perfection by lunchtime. 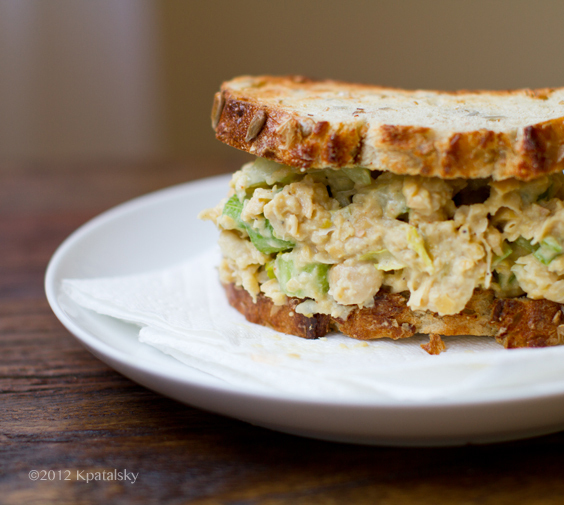 A quick toasting of bread - a slather of the "tuna" salad on some toast and lunch is done. Add fresh tomato, a sprinkle of hemp seeds, sliced onion or crunchy sprouts if you'd like. The Flavors? 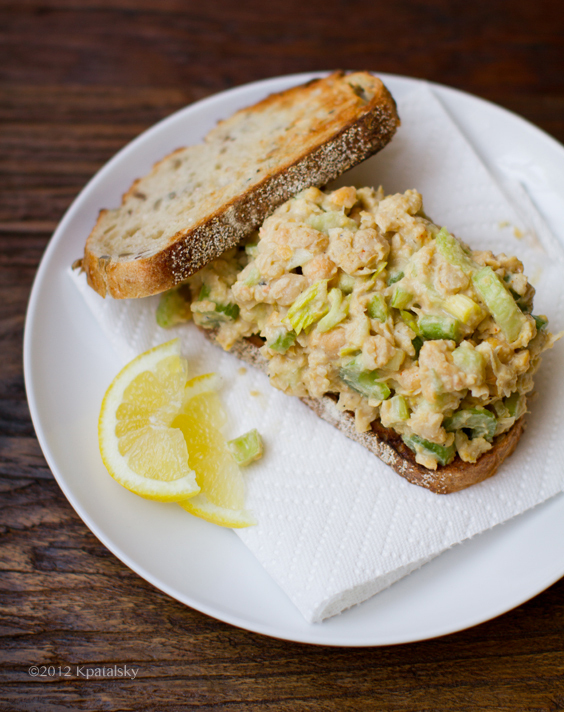 Rustic garbanzo beans, bright lemon, creamy garlic, refreshing celery and an accent of black pepper. Add some ocean-y flavor if you'd like with crushed nori sheets or kelp sprinkle or Old Bay spice. 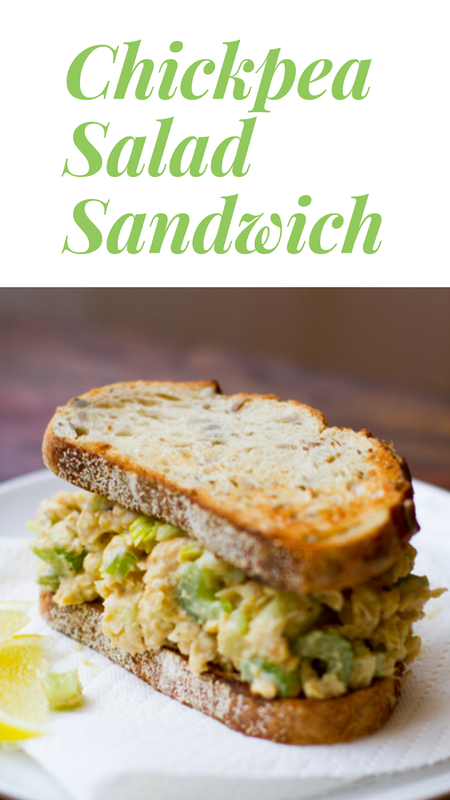 This is one of my long-time lunchtime faves!.. Chickpeas are super satisfying and have a nice nutty flavor. They are perfect for making a smashed salad filling for sandwiches, pitas and even for eating straight from the bowl. 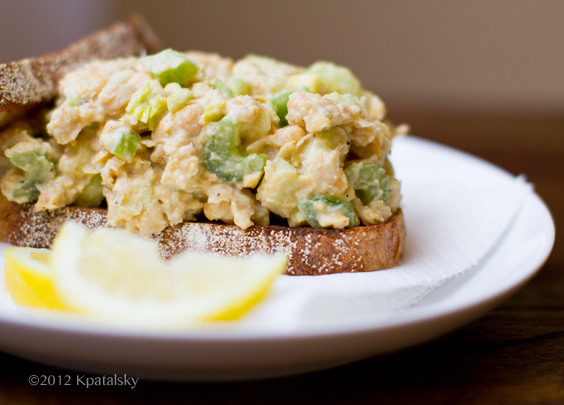 This recipe is lemony and light with loads of crunch from the celery. 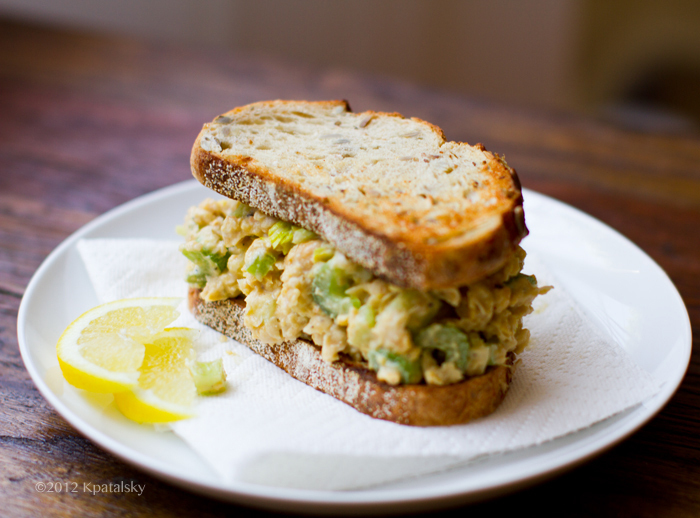 This easy chickpea 'tuna' lunch salad makes for a delicious sandwich. 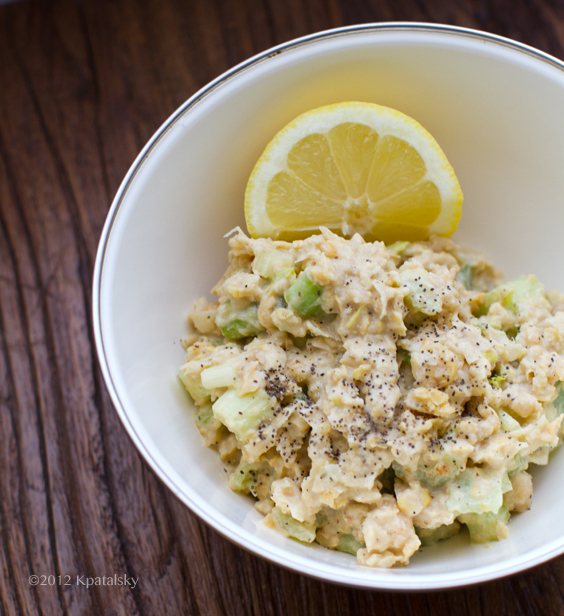 Rustic garbanzo beans, bright lemon, creamy garlic, refreshing celery and an accent of black pepper. Open, drain and rinse your beans. Add to large mixing bowl and mash well with a fork. Add in the hummus/tahini/or mayo, lemon juice and some salt and pepper - a few pinches. Toss well and taste test. Season as desired. Add in optional spices, nutritional yeast, etc as desired. Cover and chill in the fridge for at least twenty minutes to allow the flavors to marinate and chill a bit. Serve on toast, over salads or on crackers. Enjoy! Video. This is not the exact recipe, but close..